Wear our TOTEBACK as a tote bag (shoulder bag), or easily adjust it to a backpack. 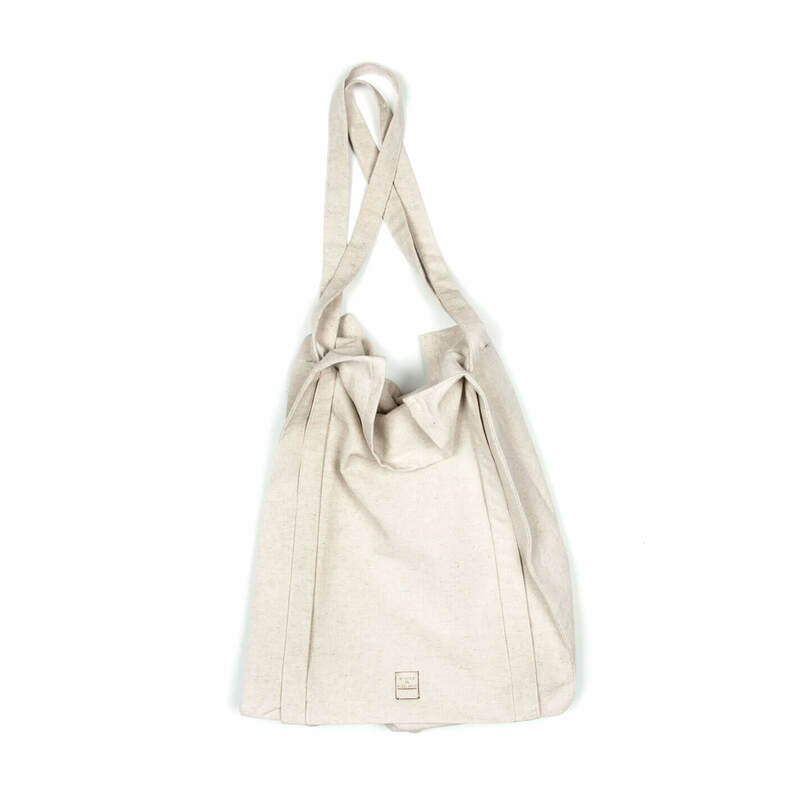 Sometimes it is convenient to have a tote bag, to carry a big volume of groceries for example. But when jumping on the bike, for example, it is nice to all-of-a-sudden use it as a backpack! Pulling the straps, you easily change the bag from function. Check out the instruction film to see how the bag works. 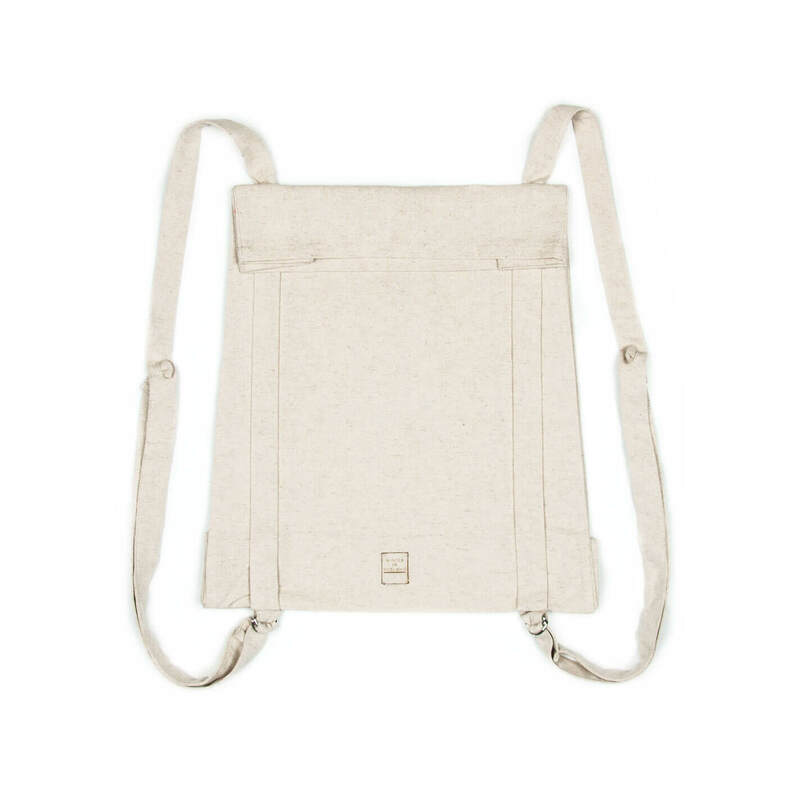 Wear our TOTEBACK as a tote bag (shoulder bag), or easily adjust it to a backpack. 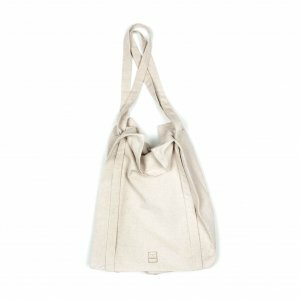 Sometimes it is convenient to have a tote bag, to carry a big volume of groceries for example. But when jumping on the bike, for example, it is nice to all-of-a-sudden use it as a backpack! Pulling the straps, you easily change the bag from function. 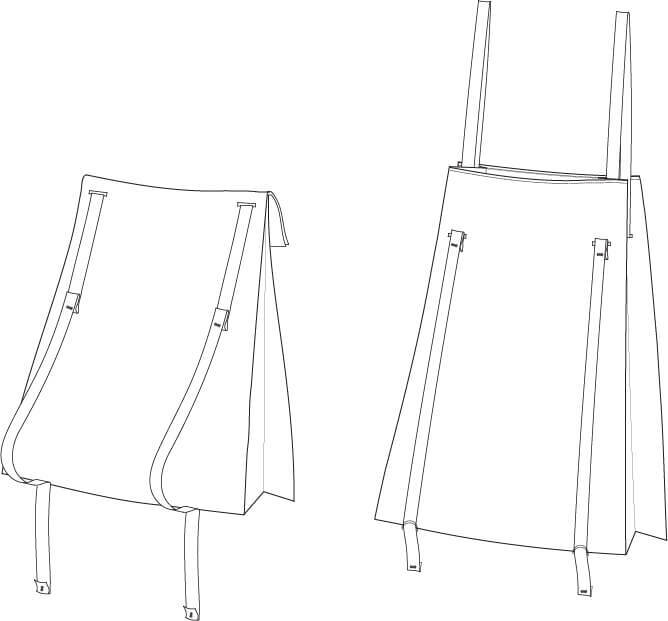 The design of the Toteback is based on simplicity. Therefore you will only find the necessary haberdasheries. When inspecting the bag, you will find smart little adjustments which upgrades the functionality of the bag massively. We have made these adjustments with the basic materials that the bag already contained. For example: in the straps of the bag, we place a stopper. Usually a haberdashery is used. However, by simply sowing the strap in a different way, we made the strap the stopper itself! As a result, these adjustments are almost hidden and enhance the simplistic feel of the final look. 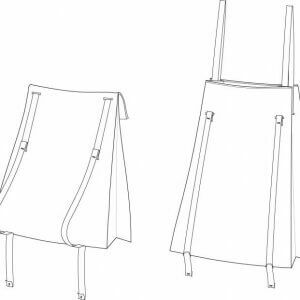 The bag comes with a closure for those dangerous urban environments where pick-pockets are active. On the inside you can find two straps which you can knot. One of these straps contains a hole on which you can clip your keys to. When you have a fully stuffed bag, you can always easily find your keys! Made out of a cotton/linen combination. The linen makes it super strong! Wash on 30 degrees. So you never have to walk around with a dirty bag. You also can iron the bag with some steam after washing, to give it that extra neat look again.